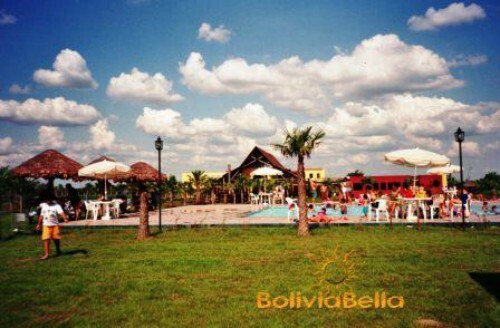 Country clubs abound in Santa Cruz, Bolivia where the tropical climate drives people outdoors for fun and entertainment. The weather here has EVERYTHING to do with how people spend their free time. With over 300 sunny days per year, only 2 months of winter (if you can even call it that), and a society that loves to show itself off anyway, country clubs are a natural extension of life in Santa Cruz. Also provides towing, drivers licenses, etc. and has expanded to include pools, playgrounds, etc.